This is what a review of the movie ‘Transformers’ screamed. Not that the reviews break or make my decision to watch movies. I have been wanting to see this movie ever since I saw the trailer involving the Beagle and I finally did it last week. The actual movie was so different from what I had imagined. But that had to do with my knowledge (or the lack of it) of the Transformers comics. But boy did I like it! Every time a robot transformed, I felt something running down my spine. It was just amazing. Hats off to the animators! The action scene in the desert was fantastic. The CGI integration with the real videos was just perfect. Some fast editing helped pace the action scenes, but sometimes got me lost in it as I couldn’t find who was getting hit. I also liked the performances of the cast crew, especially Shia LaBeouf. 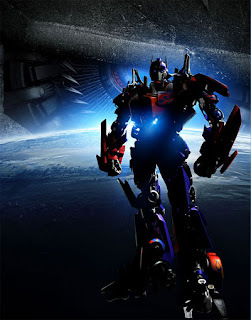 On the negative side, the excitement created at the introduction of the team of autobots that come down to save earth is not maintained throughout. Not all of those autobots were fully utilized in the movie. On the whole it was thoroughly enjoyable!